Advocacy #31: Imagine what if…. 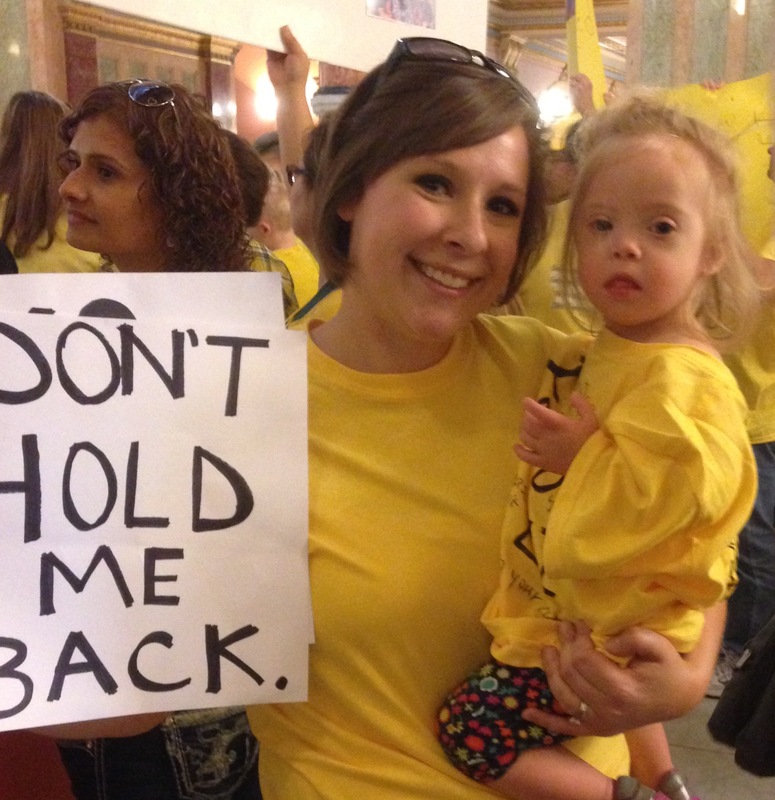 For 31 days, we have shared a lot about what advocacy means to our family in our little corner of the world. On this last day, I invite you to image what if with us. What if we stopped equating smart with successful? What if we believed that those who are not “smart” still have something to contribute? 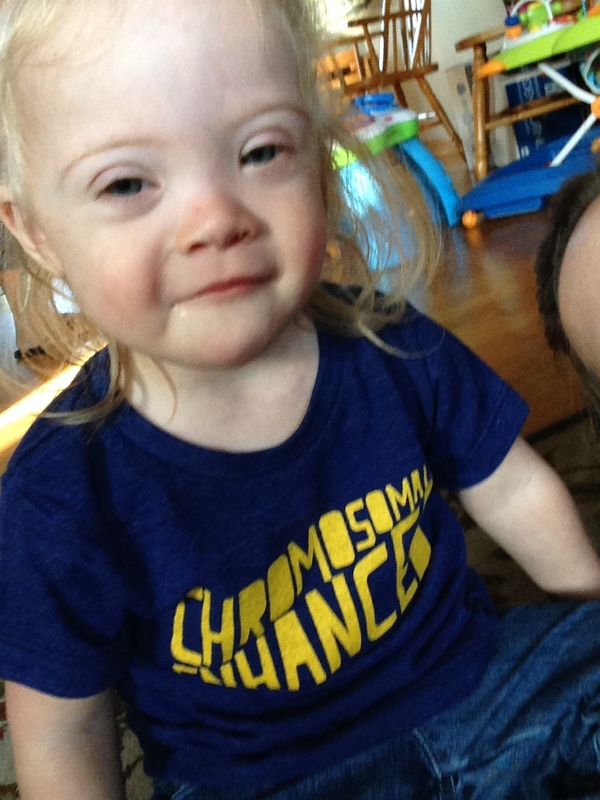 Imagine a mom getting a diagnosis of Down syndrome in a world where it didn’t matter if her child would be smart. What if she knew that the child would be accepted, taught, cared for, and loved regardless? What if we presumed competence in all? And when someone doesn’t understand, what if, instead of being frustrated, we reacted with patience and love? What if we stopped believing that a classroom of learners who struggle is a “dumping ground”? What if we stopped encouraging families touched by disability to band together in separate places and in separate communities and just embraced everyone? 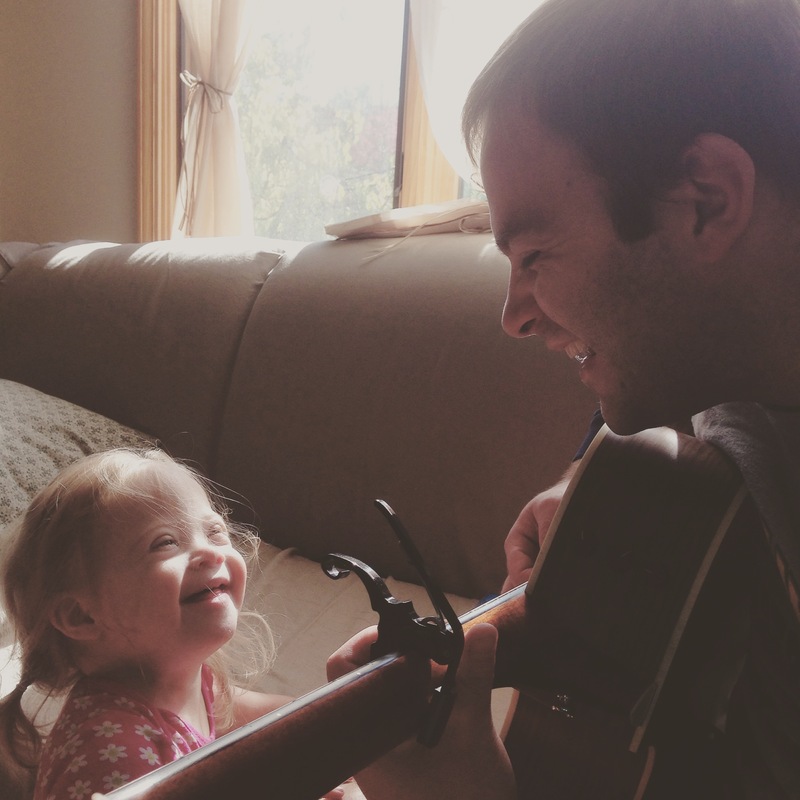 Imagine parents learning that their child has Down syndrome in a world where they knew that their schools and communities wouldn’t bar them from participating in classrooms and activities. Imagine never questioning whether your child would be allowed to participate in birthday parties, field trips, assemblies, or just in plain old school. What if we stopped believing that the brightest are the best and instead believed that those who are joyful, humble, caring, and kind are what we need most? What if we stopped seeing advocacy as a way of “helping the less fortunate” and instead just saw it as being a human being? What if we stopped seeing the disabled as less-fortunate altogether? What if we always, always chose kind? What if we could see beauty in the differences that make each of us unique? What if we respected people’s feelings and beliefs and didn’t walk through life with the attitude that a different perspective makes someone a bad person or less worthy of kindness and love? What if we could stop seeing another perspective as an attack on our own thoughts and feelings? What if we just chose love? Always. YOU can make the difference. YOU can be the Hands and Feet. YOU can advocate in small ways, big ways, in thoughts, in actions, with money, with words, or with nothing but kindness. I have a playlist on my iPhone called “Fight Song.” It is made up of a series of songs that I find motivational and I listen to it on my way to work every single day. It’s not that I need motivation to go to work everyday. I actually really love my job. And it’s not that I’m fighting anything or anyone in particular at all. These songs just tend to fill me up with the energy and positive feelings that I think are so important. They remind me to be brave, to be kind, and to do good. The first song, the song I start each and every day with, is below. As a last thought, before we go back to our regularly scheduled program of family antics and less-relevant rambling, I encourage you to watch the video, listen to the words and imagine if this song could drive what you do every day. Imagine if this is how we lived. 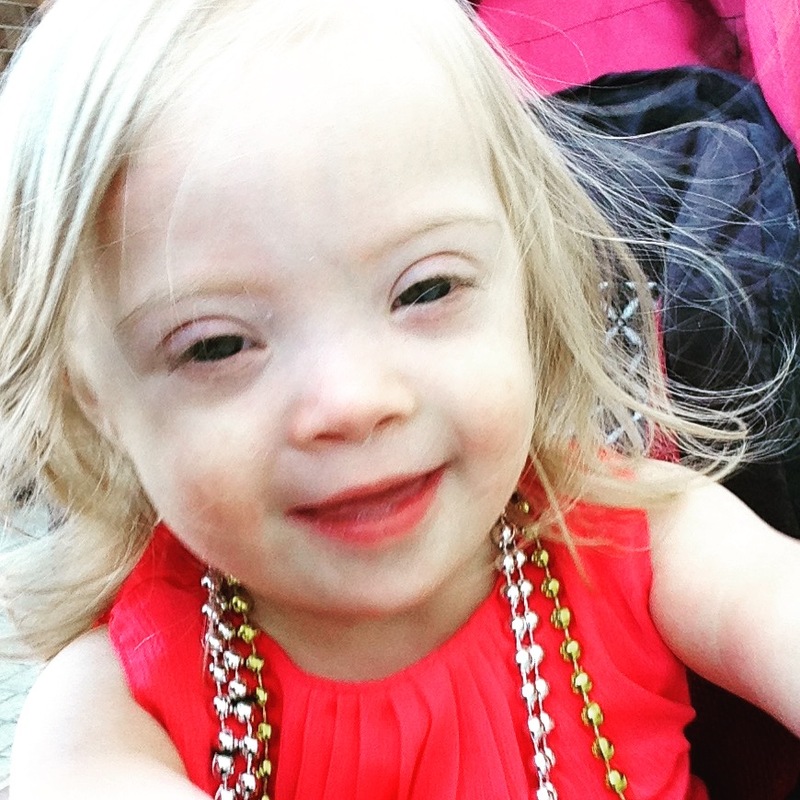 I am writing on behalf of my daughter Tessa, a two year old with Down syndrome who receives Early Intervention Services (EI) with the help of the state of Illinois. I only write to implore to think about what a mistake it would be to reduce the services of EI for any child. While I could go on and on about the personal gains it has provided for my daughter and the incredible positive impact it has had on my family, I urge you to look at this from an objective perspective. E.I. saves our state money in the long run. For every dollar spent to fund EI it would cost seven more dollars of funding to not fund EI For instance, let’s say a child with a disability is provided EI at an early age. Because of this exposure to necessary therapies and the child’s parents learning about how to help their child, they are able to gain vital skills necessary to succeed in life. When they are eligible for the school system, they won’t need nearly as much support, if any, because of the growth they made and the steps they took while enrolled in the EI program. Now, if you take this same child and don’t provide any services and don’t teach parents how to really help their child, you are going to spend an excessive amount trying to make up for lost time. So how does it make sense to spend seven dollars in the future when we could just spend one now? Now is the time to have foresight for our state and for EI We all know the state is a financial mess and to do nothing is unacceptable. All I am asking of you is not to try to solve financial problem by doing something that makes so little sense. Put aside that this is a human rights issue and focus on the return on your investment. The cost benefit analysis of diminishing EI doesn’t add up. It’s using a bucket to save a sinking ship instead of reinforcing the hull. Early Intervention is not a new topic here. The number of posts tagged “Early Intervention” takes up three full pages on this site. Right now, funding for EI is on the chopping block in Illinois. We have a budget problem for a lot of reasons and every cranky person in the state has an explanation (some real, some not) and a solution (some constitutional and some not) and while the rest of the world has the benefit of just being able to complain about it without having their worlds turned upside down, my family does not have that luxury. More on that tomorrow. Today, some background on EI. Early Intervention started in 1986. It provides therapy services for children ages birth to three that show some developmental delays, be they physical, social, emotional, or cognitive. EI is partially funded by the state, partially through federal funds, and families pay a monthly fee on a sliding scale based on income. States can decide how to set up their EI programs within some federal guidelines. Right now in Illinois, a child has to display a 30% delay to qualify. It is estimated that about about 13% of children qualify for services, but only 20,000 kids are getting services right now (about 3.5%). Each child develops an Individual Family Service Plan (IFSP) and goals to help the child function in their environment. Goals are reviewed every six months. Services (therapies) are scheduled based on what the goals for each child are. Therapists come to the home to provide these services. It is estimated that about 50% of children who enter EI as children are able to be remediated in their skills to the point where they do not need Special Education services when they enter the public school system. Those who are not completely remediated still make significant gains. And the earlier we start, the farther they go. John takes over tonight for one of the kinds of advocacy that I have stayed away from… running. When Tessa was about a month old, Maggie signed us up for a seminar on inclusion. If you haven’t figured this out already, Maggie is a bit of a planner (this is also known around the world as a diagnosis of “Type A”). Anyway, my planning wife was planning for our daughter’s future school three years in advance, while I was just trying to get through a Saturday. I took home the brochure and told Mag that I felt compelled to run and she told me I had her whole support. She was tired of me doing races just for “fun” because she always said I could just do that on the street for free. Being a charity runner made much more sense to her. Her support was really important because in training, I can be gone on these runs for 2 or 3 hours sometimes. And while I’m gone enjoying my music and shuffling along, she is there taking care of every burning need of my children. To those of you who say it’s only a couple hours…clearly you haven’t met my children. Sorry…back on topic. 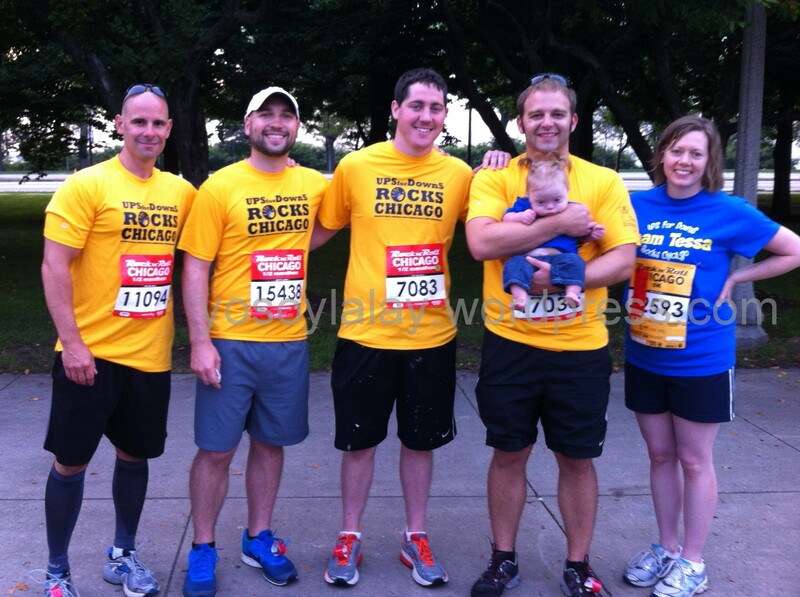 When I signed up I thought: Well, it’s for a good cause, it will be fun to run a race in Chicago, why not? I mean, the worst case scenario was that I would end up paying most of my commitment to fundraise $250, but it would still be for a good cause and I didn’t really care if that happened. Two years later, Team Tessa has collectively raced over 100 miles, raised over $8,000 and had 8 people join our team in support of a great cause. Here’s the point I would like to make about running and advocacy… just like running, sometimes advocacy is difficult. At times it’s hard to keep advocacy in mind. At times advocacy asks us to step our of our comfort zone and step up for the people we care about. And at times running for a cause seems as substantial or more so than those other challenges. But here’s the thing: People in our life continue to step up to support her and people like her. You see, advocacy doesn’t have to be grand and with pomp and circumstance. Sometimes it can be as simple as shuffling one mile after another to run for a little girl who deserves our love and acceptance just the way she is. 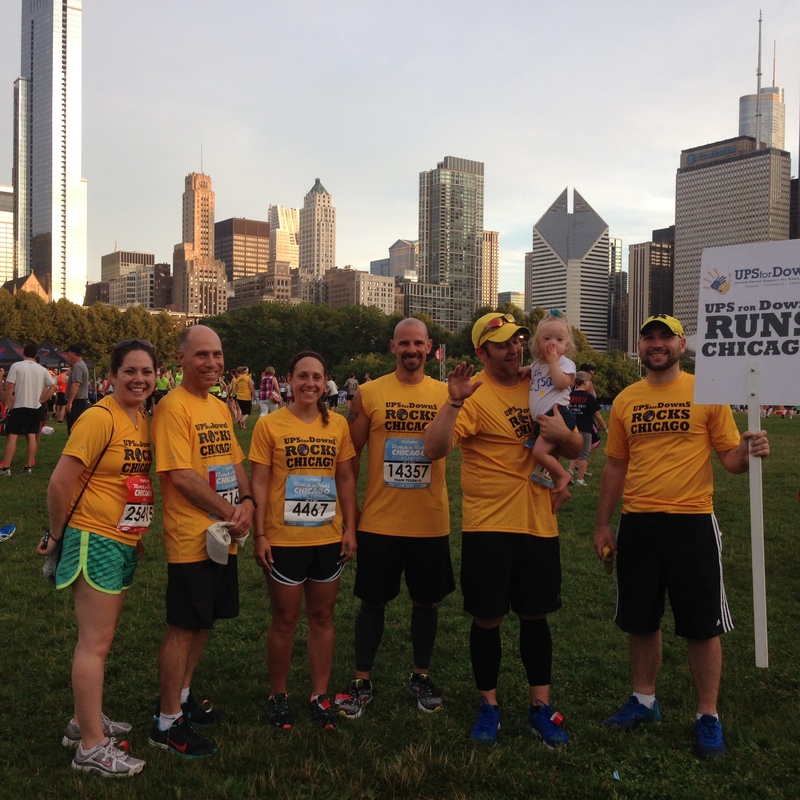 Thanks to all of you that do that…and a shameless plug here: There’s always room on Team Tessa for more runners! 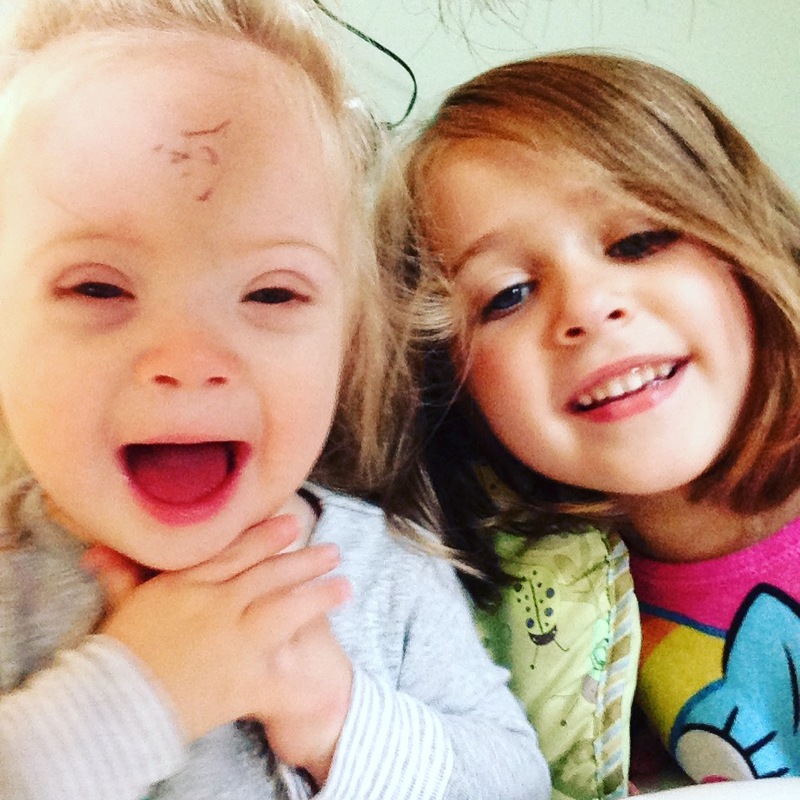 I need to be totally honest about something here and I feel a little like this is blasphemous in the Down syndrome community and I fear that maybe I’m going to be excommunicated or something, but in my world, it’s important. I am not a huge fan of what I have observed about programming through Gigi’s Playhouse. I will readily admit that I have never once stepped foot in a Gigi’s. I have never taken part in any of their programming by purposeful choice. 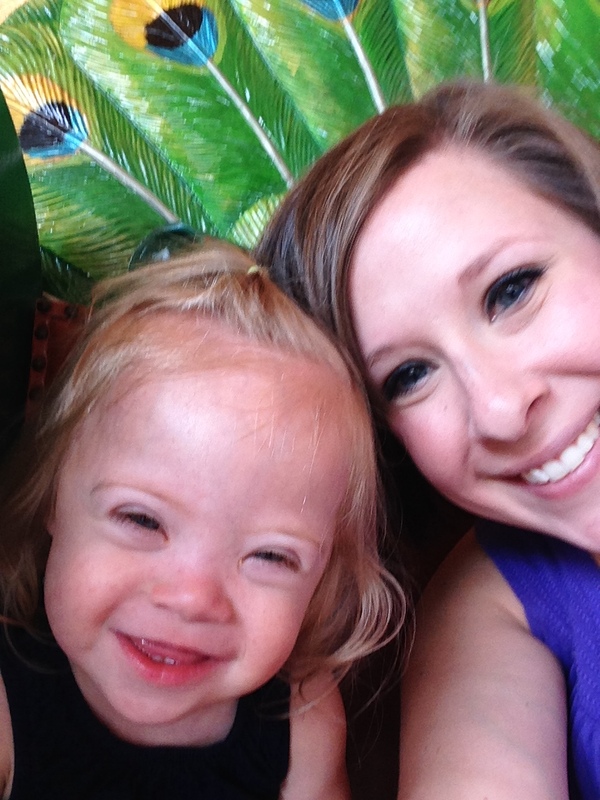 Many, even most of the moms in the Down syndrome community go there often and love Gigi’s. As a matter of fact, when Tessa’s diagnosis first became “public,” we had numerous people reach out to us and tell us how wonderful Gigi’s is for their friend, niece, cousins’s kid, neighbor, etc. But it didn’t sit right with me. I don’t know if this is a character flaw in me or some deep-seated unwillingness to accept that Tessa’s life may look very different than others, but when people told me that I should take her to Gigi’s to play with other kids like her, it got me a little angry. I was not, and still am not, willing to believe that she needs to go to a special place, just for kids like her, to find friends and support. This is what Gigi’s has signified for me. I know that for a lot of families, it is vital and a great place to find comfort and information. I’m glad that they love it. I wouldn’t take it away from them because all families work differently and that is great. But to me, inclusion means taking my child to play groups with all kinds of peers through park district and community programs. And inclusion means that we don’t participate in walks just for people with Down syndrome, but we walk in big community races and wear our group shirts and infiltrate the typical community. I believe in just being out there, in the big old world, helping my kiddo navigate her environment, teaching others to accept her through her participation in her own little way. It is good for her and it is good for those around her. May she do as she wishes, may her friends be her friends, and her loves be her loves, because she is Tessa and simply that. That is what inclusion means to us. As a teacher, the first thing that I want you to know is that inclusion is not easy. Worthy of the effort, yes, but not easy. A high priority for students and communities, absolutely. But it is not easy. One of the biggest struggles that teachers face is the differentiate (modify) instruction for a variety of students. Regardless of how many children have diagnosed special needs, when you have thirty students in a classroom and you have to meet the needs of every one of them, it can get dicey. When you think about the upper grades, where teachers have over 100 students throughout the day, it’s even more challenging. But still, it is worth it. 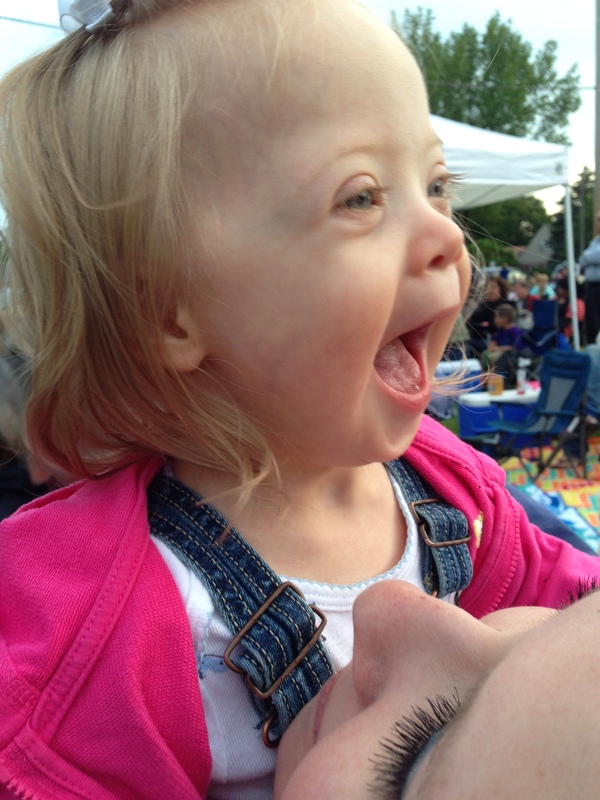 I have always taken the stance that I, as a parent, and soon Tessa, as an individual with Down syndrome, will have to spend a lot of time teaching people about her needs. When the unexpected happens, when unkind words are shared or people are impatient or rude, we can react in anger or frustration… or we can use that time to teach. Our school teachers are no different. We can advocate for our children by understanding that their teachers do not know our children and by showing a willingness to help them understand. They may have have received no training on working with a child like mine. If we, as parents, always take the stance that people just don’t know any better and that we are here teach them, imagine what a difference we could make. Sometimes, even if you feel they should know better, they don’t. Even if we think that they should have worked with a child with Down syndrome or Autism or any special need, they may not have. Or they may not have done it well because no one ever taught them. You can work with your child’s teachers. You can talk to their schools about special training opportunities, presentations, and conferences. You can talk to colleges and universities about their training programs. Be open to sharing and teaching and people will learn. People will learn. We have to believe in them as much as we believe in our own children. The law that requires a child to be taught in the Least Restrictive Environment (LRE) is part of IDEA, the Individuals with Disabilities Education Improvement Act, that was passed in 1975 and then reauthorized in 2004. This does not mean that every child will automatically be placed in a “normal” classroom. It means that students are placed in the least restrictive classroom in which their needs can be met. Sometimes these placements are in a general education classroom without any supports. Sometimes students need a one-on-one aide or paraprofessional. Sometimes they have some instruction in the general education classroom and have some time pulled out to work in a special education setting. But school districts need to provide a continuum of services to meet the needs of all learners. IDEA also stipulates that a child cannot be placed into a more restrictive or segregated classroom based on their diagnosis alone. All too often, school districts will tell parents that this classroom is where our students with Down syndrome go or that classroom is for students with vision impairments. That’s a big no-no in the eyes of the law. Students must be placed based upon their own unique set of needs and abilities. While schools may try it, they are also prohibited from refusing to provide services based on cost. In a nutshell, this means that if the appropriate LRE for your child is in a general education classroom with an aide, they cannot deny that placement by saying that they can’t afford to hire an aide. It’s also important to remind yourself, your schools, and your community as a whole that when done correctly, inclusive education is more cost effective than educating students in a segregated setting. Squeezing in just under the wire here!! 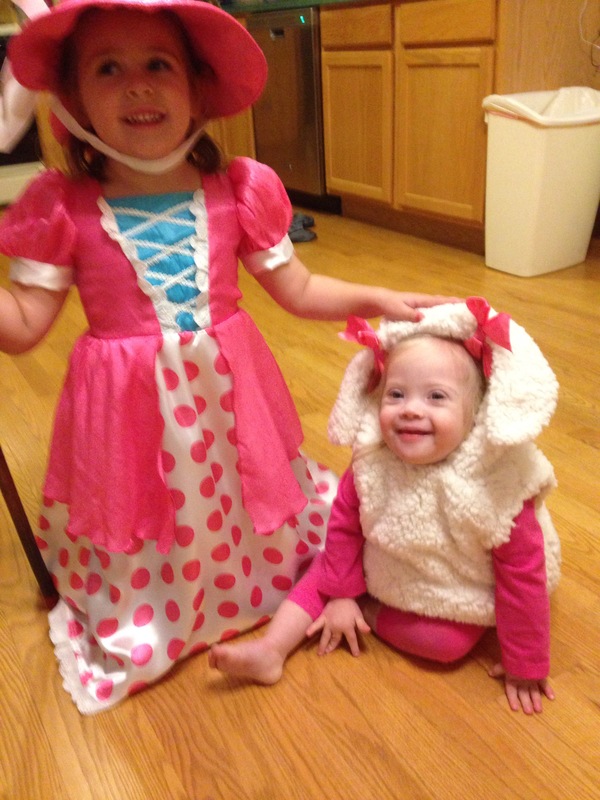 It’s 11:56 pm and we had our annual Halloween Party tonight, so you get this picture…. We will resume with Inclusion tomorrow. Changing the Face of Beauty is a campaign to promote diversity in advertising for major retailers. It was started in the Chicago area by a fellow DS Momma, Katie Driscoll. She and her amazing team have gotten over 100 companies to commit to including models with a variety of disabilities in their advertising. Target is the only major retailer to consistently use models with disabilities in their advertising. That’s sad. Changing the Face of Beauty. Students in the United States are guaranteed, by law, access to a free appropriate public education (FAPE) in the least restrictive environment (LRE). School inclusion is the practice of educating students with disabilities alongside their typical peers. They have access to the general curriculum (the stuff that all the kids learn) and it is modified to suit their learning needs and challenges. Inclusion is not the same as mainstreaming. Mainstreaming involves teaching students with special needs in the same classroom, but with a different curriculum altogether. It is not the same as providing access to the general education curriculum (the stuff that all kids learn). For example, in an inclusive environment, all of the students might write a report about the water cycle. Typical students would write a three-page paper to describe what that is and why it is important. A student with special needs who struggled with paragraph structure might write a 5-paragraph essay of one page over the same topic. Both learn about the water cycle. Both write a paper. In a mainstream environment, the typical class is learning about the water cycle. Typical kids still write the three-page paper, but the student with special needs is tasked with coloring pictures of the water cycle. He is not learning about the water cycle, he is not accessing the general curriculum, he’s working on a totally different assignment while physically present in the classroom. Research has shown time and time and time and time and time again that school inclusion has tremendous benefits for all students, whether they have special needs or not. There is a strong research base to support the education of children with disabilities alongside their non-disabled peers. Although separate classes, with lower student to teacher ratios, controlled environments, and specially trained staff would seem to offer benefits to a child with a disability, research fails to demonstrate the effectiveness of such programs (Lipsky, 1997; Sailor, 2003). There is mounting evidence that, other than a smaller class size, “there is little that is special about the special education system,” and that the negative effects of separating children with disabilities from their peers far outweigh any benefit to smaller classes (Audette & Algozzine, 1997). Students with disabilities in inclusive classrooms show academic gains in a number of areas, including improved performance on standardized tests, mastery of IEP goals, grades, on-task behavior and motivation to learn (National Center for Education Restructuring and Inclusion, 1995). Moreover, placement in inclusive classrooms does not interfere with the academic performance of students without disabilities with respect to the amount of allocated time and engaged instructional time, the rate of interruption to planned activities and students’ achievement on test scores and report card grades (York, Vandercook, MacDonald, Heise-Neff, and Caughey, 1992). The types of instructional strategies found in inclusive classrooms, including peer tutoring, cooperative learning groups, and differentiated instruction, have been shown to be beneficial to all learners. For example, Slavin, Madden, & Leavy (1984) found that math scores for students with and without disabilities increased by nearly half a grade level as a result of working in cooperative learning groups. Inclusive education, while widely accepted as the best way to educate all students, is not always common practice… especially not in the upper grades. We’re on a mission to change that in our world.